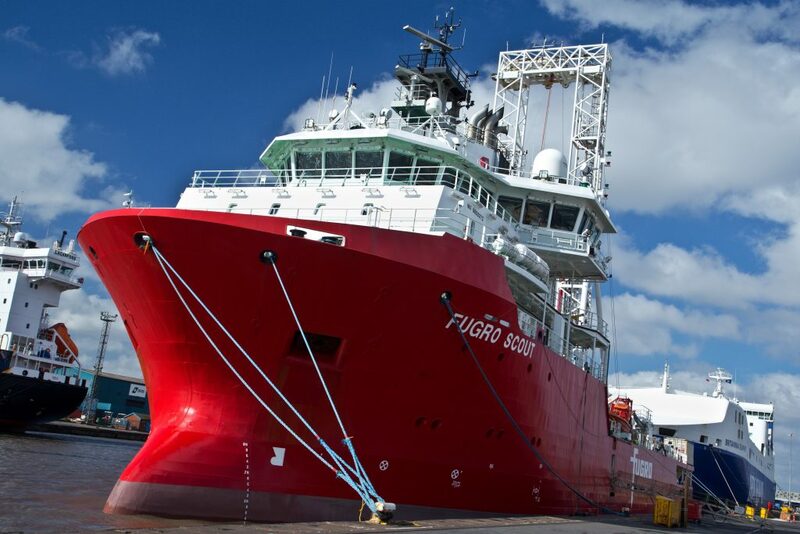 Triton Knoll Offshore Wind Farm has completed a key phase of offshore site investigations using state-of-the-art geotechnical drill vessel Fugro Scout, as the project prepares for the installation of offshore monopile foundations in 2019. 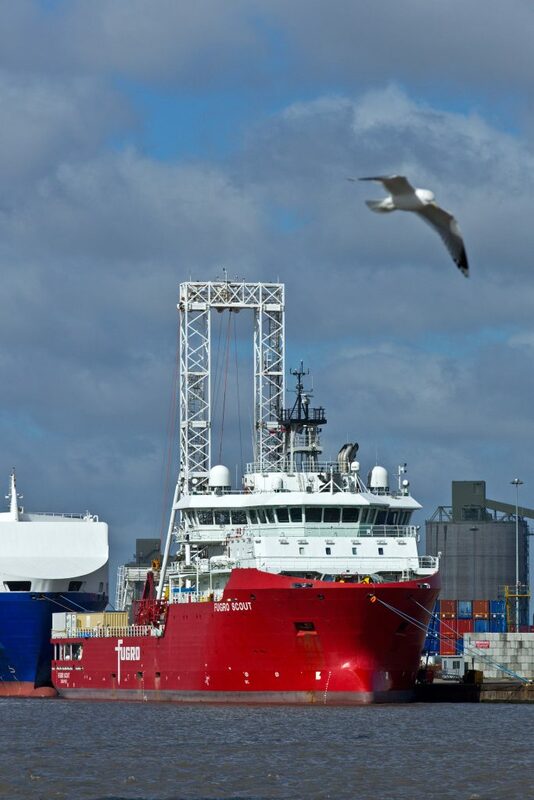 The vessel operated out of ABP’s Port of Immingham on the Humber, and carried out a three week programme of test drilling at the locations of the 90 turbine foundations and two offshore substations, over 20 miles offshore. Investigative work at the east coast site of the 860MW innogy-owned offshore wind farm will provide detailed information on seafloor and sub seafloor conditions, supporting the design of the wind farm’s monopile foundations. The design work is also being delivered by a UK-based engineering company Atkins, on behalf of lead foundations contractor Smulders Sif Steel Foundations BV (3SF). The high-tech geotechnical vessel conducted borehole drillings of up to 40metres deep. Each borehole is sampled and tested with Cone Penetration Tests (CPT) and seismic CPT, and will involve the use of a complex suite of wireline logging tools to further enhance the understanding of the sub seafloor soil types (known as the stratigraphy) and their geotechnical parameters. 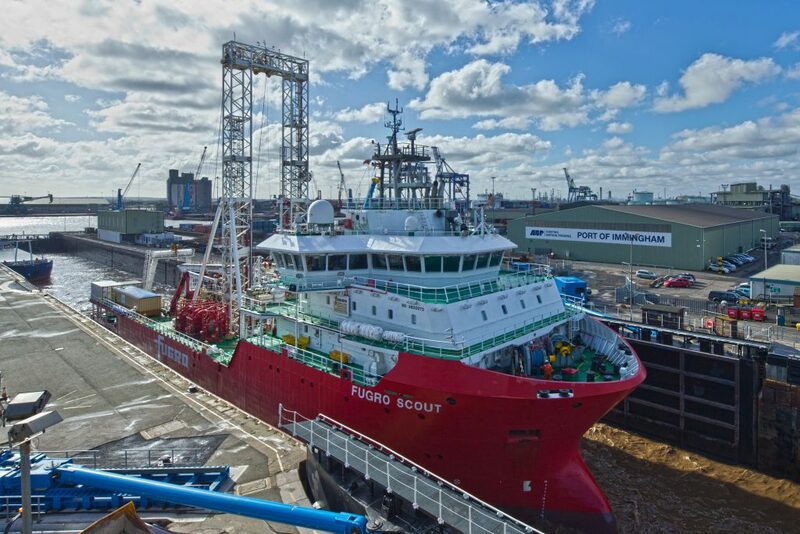 Health & Safety is a key characteristic of the Triton Knoll project, and was central to the contractor being selected and the subsequent use of the Fugro Scout vessel. Its specialist automated drill pipe and tool handling system, was seen as an effective way to minimise and manage the risks associated with human interaction during offshore drilling operations. Triton Knoll is capable of supplying the equivalent of over 800,000 UK households per year with renewable electricity. The project expects to trigger a capital expenditure investment of around £2billion into much needed UK energy infrastructure. This will enable the delivery of some of the lowest cost energy generation for UK consumers. It is now progressing towards a financial investment decision later this summer (2018) with full onshore construction starting shortly after, and offshore construction starting in late 2019. First energy generation could be as early as mid-Q1 2021, with the project expecting to begin commissioning in 2021.